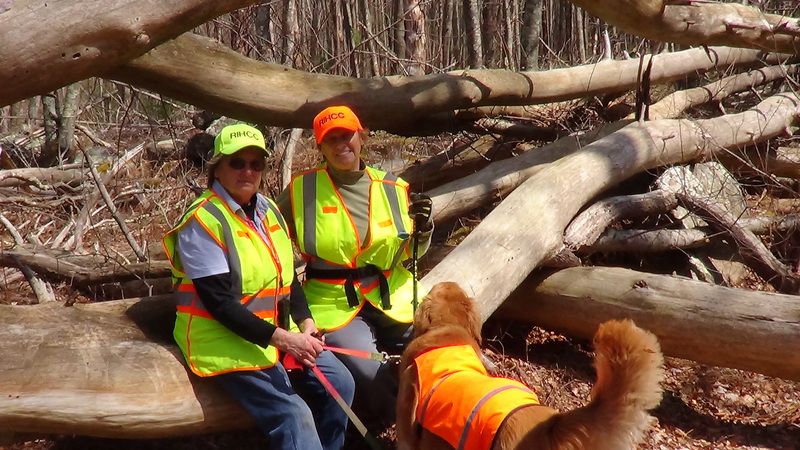 On April 14, 2018 we met at the Carolina Trout Pond parking area located within the Carolina Management Area. 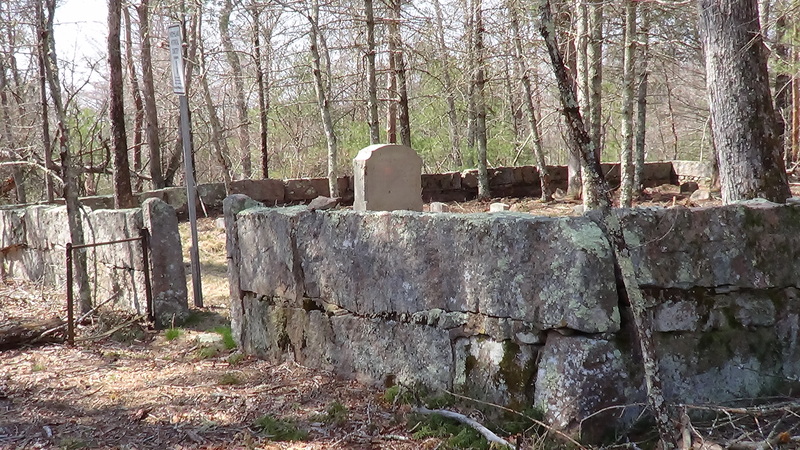 We were to see 2 historic cemeteries, ponds, streams, ancient farm sites, a stone lined well and many stone wall structures. 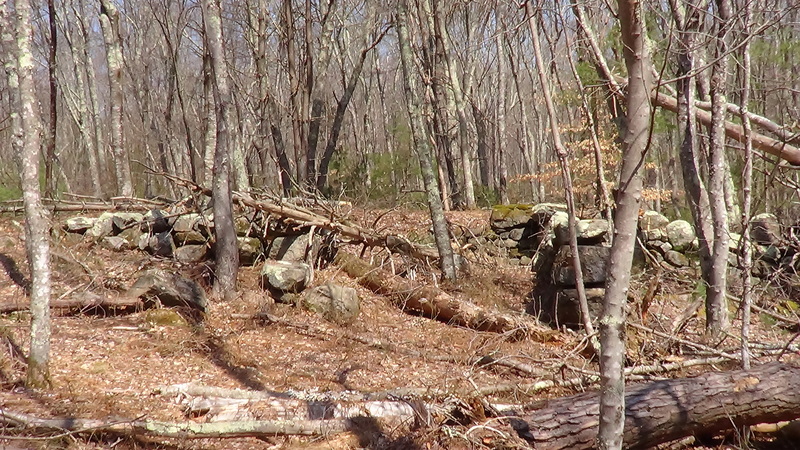 This hike was conducted on the same day as the annual RI Historic Cemetery Preservation and Awareness Day. 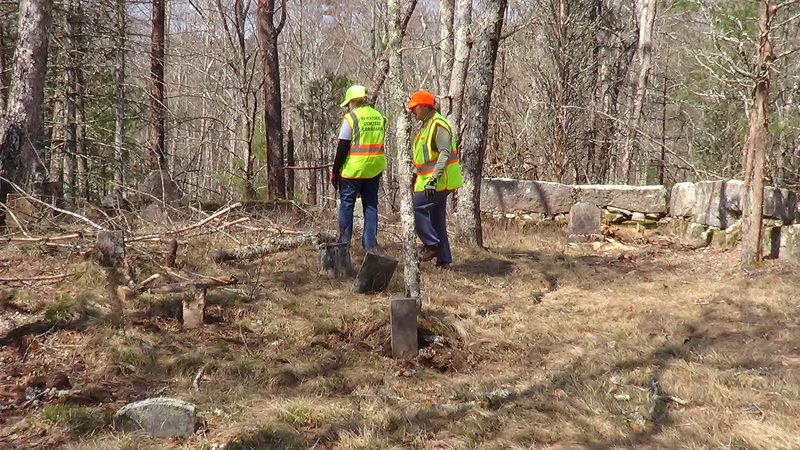 All 39 towns in RI planned to clean a cemetery on that day. Originally we wanted to spend a short time cleaning in each of the 2 cemeteries on our hike, #51 Essex-Larkin Lot and #74 Reynolds-Lillibridge Lot. However, due to the light turnout, only Cemetery #51 was cleaned. We also did not take the full hike, but walked a short distance to view what appeared to be an animal pound. Dory and Judy took a few minutes to rest, as our furry friend got a drink in a nearby stream. She is interested in finding out if there are any organized group that flags veteran graves in our Richmond historic cemeteries? Who might be doing it every year currently and where do they put the flags, if anywhere. She will be listing which of our 98 cemeteries need flags and where she needs help in getting the job done. No longer will flags be given out to people not in this program.